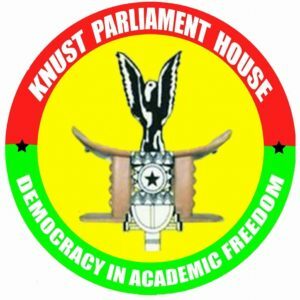 A student PARLIAMENT, established by National Parliament under the auspices of the Public affairs Directorate of National Parliament, Ghana known as KNUST Student Parliament House (KSPH) has petitioned the Student Representative Council (SRC) including the office of the Dean of students to facilitate efforts to step away from the National Union of Ghanaian Students (NUGS). According to the group, NUGS is not making relevant impact as expected. NUGS is a non-partisan, non-religious student movement that promote co-operation, understanding and friendship between and among Ghanaian Students which also has “Protecting the Interest & Welfare of Students IN and OUTSIDE Ghana” as it’s mission. However recent happenings about partisan politics and a supposed “divided NUGS” has made individuals and corporate organizations question the credibility of such an institution. This has gone far for the University of Ghana (UG-Legon) later last in 2018 withdrew their participation and refused to contribute whether in kind or funds towards its course stating numerous reasons for their sudden switch in sides. After university of Ghana’s withdrawal, many were looking at KNUST to take a stand but KNUST had its own crises to deal with at the time. With normalcy on KNUST campus, numerous calls have been directed to the office of the SRC President, Mr Kelvin Sah to make a decision on whether to withdraw or stay in. KSPH earlier this week presented a petition to the office of the Dean of Students, the SRC President and the SRC Parliamentary Council to consider temporarily breaking away from NUGS until normalcy is restored. In their petition they stated a number of reasons and among them was that NUGS has lost its relevance and integrity as some individuals have hid behind some political parties to foster their parochial agendas. The Student Parliament House also queried the SRC on why they intend to fund NUGS sanctioned programs with SRC dues. They emphasized that until NUGS elections are free from partisan politics KNUST should desist from such an association. The KNUST Student Activists group has also made strong points about the KNUST SRC moving away from the National Union of Ghana Students only for a temporal period until or party political issues are effectively eradicated from the Union. According to them, for some reason NUGS is not been transparent and has issues of not safeguarding students and their rights. Amongst these was the most touching complaint from the KSA of involving themselves in Partisan politics thereby making the union more of weaker and politically biased. Meanwhile, the Students Representative Council of the Kwame Nkrumah University of Science and Technology has called on Parliament to probe the National Union of Ghana Students (NUGS). The KNUST SRC president, Kelvin Sah made the call during his second state of the SRC address in December 2018 because of the partisanship nature of the union. It also wants some clarity on the role of the local and national secretariats of NUGS during the impasse at KNUST, that led to riots and the temporary closure of the university. Have politicians corrupted student leaders? Indeed, student leadership front in most public tertiary institutions, are believed to have lost a huge chunk of their objectivity due to political interference. Several student leaders who were known to be aligned to the two major political parties, have eventually turned out to be leading politicians in the NDC and the NPP. Knowing the collective power and influence of students especially when it comes to their stance against unfavourable government policies particularly in the education sector, politicians have over the years found ways to infiltrate and weaken the student leadership front. As a result, student leaders are often divided along the lines of NDC and NPP.